Mayabunder is a beautiful peaceful town in the Northern side of the Middle Andamans. Some call it Maya Bunder and some even Maya Bandar. The inhabitants number approximately twenty three thousand and comprise mainly of the immigrants from Myanmar and Bangladesh and some ex-convicts of the British era. 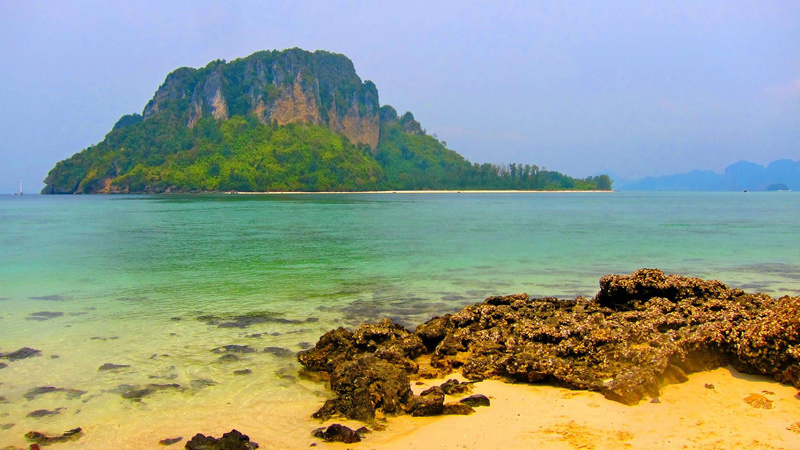 Mayabunder is situated three-hours further to another major tourist landmark Rangat and are frequently clubbed together when planning the Andaman itinerary. Maya Bunder is brilliantly surrounded by cosy creeks and magical mangroves. The village that this town houses is the pleasant abode of former Burmese Karen tribes. These tribes were translocated as cheap logging labour during the British occupancy. Mayabunder is more enchanting than Rangat. The mangroves tidal creeks harbour quite a few enchanting islands in close distances. Day trips from Mayabunder can be arranged to Avis Isalnd, Karamtang Beach and Interview Island. Mayabunder also offers a major port that receives passenger ships from Indian subcontinent along with Port Blair. The ferries from Port Blair steps over at Mayabunder en route to Diglipur. Alvis Island is situated close and takes not more than 30 minutes by boat. It has a creamy white beach with calm and cool waters lapping the gentle shores. The crystal clear waters offer vivid views of the colourful fishes squirming just under the surface. The enchanting corals add to the magic when one treads a bit deeper. Sun-basking on the beach under the thick shade of the coconut palms is heavenly. Procure permission form local authorities to embark on this island. Karamatang Beach is 13 kilometres away from Maya Bunder and is famous for being a nesting ground of some fascinating species of sea turtles. This phenomenon makes this place a hot favourite among tourists. This beach is not to be easily spotted as it is hidden from the road. The enchanting beauty of the beach is enhanced by the eco-friendly seating arrangements and machans. The soft sand and the gentle waves make it an ideal breeding ground for sea turtles. The December to February months are the months to watch the fascinating turtle breeding sessions. Kalighat and Diglipur can easily be covered through the creek from Mayabunder by boat. The mesmerizing lagoon cruise through the captivating creeks to these islands calls for an out-of-the-world experience. Ferries from Port Blair calls in at Maya Bunder once a week on their way to Diglipur. The best option to reach Maya Bunder is to take a morning bus from Port Blair to have a hassle-free ride to the lovely destination.